Effective Leadership Academy (ELA) is proud to present Camp LEAD: Fish Tank, a fun and dynamic summer experience focused on innovative youth leadership. This intensive, one-week summer day camp engages fifth through eighth grade boys and girls at a pivotal point in their development. Camp LEAD: Fish Tank, based on the hit TV series Shark Tank, will utilize games and outdoor team activities to encourage healthy competition and collaboration. Campers will be given daily challenges that will help them learn to pitch ideas and negotiate for success. 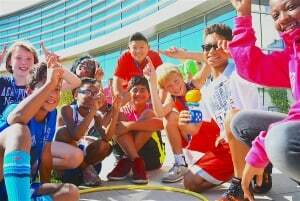 This day camp encourages campers to focus on goal setting, creativity, networking, critical thinking, presentation skills, effective communication and the art of self-leadership. Click here for more information about Camp LEAD.